After you have used your mobility scooter, even if it was only for a short trip it is a good idea to charge the battery after each individual use of the scooter, you may not have used much of the power in the battery but its better to make sure that your battery is fully charged again and ready for the next time that you need to use the mobility scooter. Even if you have not used your mobility scooter as much at a certain time, maybe one week you have needed to go out less, it is still best to regularly charge and not go too long in between battery charges. Keeping the battery clean, especially the terminals will help to ensure that your battery gets a proper charge and making sure that the connections to the terminals are on tight enough before attempting to charge the battery is always worth a moment of your time. Ideally, a 12 hour constant charge of the battery each time you charge is better than putting it on to charge for just an hour or two. After a battery has been in use and charged many times it will gradually lose its performance and if you find that a full charge no longer provides the usual distance range that you were getting and that the mobility scooter doesn’t operate as smoothly as it did before, there’s a chance that the battery needs to be replaced, though its always worth having the rest of the scooter checked out first in case any performance problems are related to another part of the scooter and not necessarily the scooter’s battery. 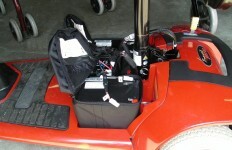 When needing to charge your mobility scooter you will either have a removable battery that can be charged on its own or the scooter may require that the battery stays in place while the mobility scooter is charged up again, in the case of the latter, you will normally find a charging point on the scooter instead of the battery. 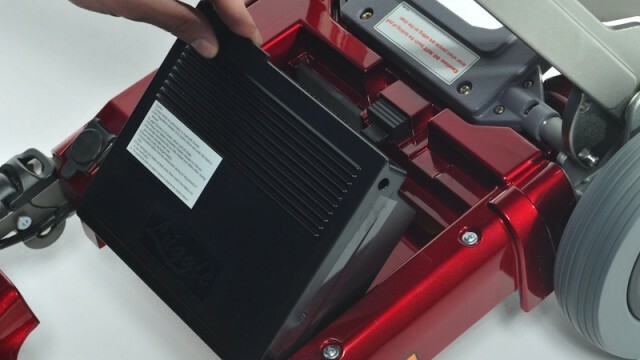 If you do need to charge the mobility scooter without removing the battery then you will need to make sure that you have access to a mains outlet, either within your home, garage or a shed, if the battery needs to be removed to be charged, then having an individual who can regularly perform this for you is probably the best idea. It is worth reading through the manual that will have come with your mobility scooter too, in case there are any specific instructions regarding the charging of the battery and you should only use a charger compatible with your mobility scooter and its battery. If your mobility scooter and/or its battery are brand new it will usually require a full charge from new, before use. Hi, If a 12v battery an auto electrician may be able to advise you but I believe you would need a split charging relay fitted to your car as used for a caravan battery, it then only allows the extra battery to connect once the car engine has started otherwise you could burn out your car wiring as it would try to drain power from the extra battery when starting car, it may be possible to fit some kind of diode to prevent this if used from a cigarete lighter socket as the booster/starter battery packs can charge this way so must have diodes built into it’s circuit, I am looking for a 24v weatherproof solar charger to mount on garage roof to keep my scooter batteries trickle charged but hard to find. Hi Derek, I came across this link when searching for more information on solar charging for mobility scooter batteries but the price is a bit over the top, I would rather talk to an auto electrician which would cost nothing. I have had my Pride Celebrity Sport 8mph scooter for 15 months but only had it out once, I charge the batteries once a month, the fully charged led comes on within 5 minutes so I disconnect charger, about every 3 months I leave in on for several hours even when fully charged. Am I doing it right? How long do batteries normally last used like this? Im guessing that it might not be possible to do any damage or anything when putting it on charge for a few hours everything 3 months but it might not be necessary to do this. If you have only used it once and it usually shows a full charge within 5mins of putting it on during its monthly charge then i would continue to disconnect it as soon as you see this each time. It doesn’t sound like its necessary to leave it on longer when you do that each 3 months. When you ever take it out again in the future and maybe feel that its not got a full charge, even though its showing a full charge then this might be something to look into, but for now i would stick to disconnecting it shortly afterwards on your monthly charge. hi , even when your not using you need to give your batteries a full 10 hour charge. irrespective of if the charging light goes too green. these are deep cycle batteries not mobilie phone batteries. Your not topping up so to speak !!!! Hi, My mother has a Shoprider Sovereign Mobility Scooter. She does not use it during the winter time but has been advised to charge her battery twice a week for 8 hours each time whilst not in use. Is this right, surely the charge wont drop that quickly. Hi Don, I have my Pride Celebrity X Sport I bought when I was bad but now I have got pills back I can manage short distances so only ran scooter once, it’s 2 years old now, I used to switch charger on each month and the fully charged light come on each time after 5 mins. I have spoke to a couple of the battery manufacturers but they are not helpfull, I now charge it for about 18 hours about every 6 weeks, it still shows full charge in about 5 mins. then just trickle charges as the charger is inteligent so I understand can’t overcharge but recommends maximum 24 hour charge. Hope it helps. I would like to charge my batteries of the scooter. 12v 50Ah lead and gel. Can I use a 24v car/motorcycle battery charger? I know I will have to bridge the two batteries (+)to(-). Or, may I be able to use two seperate 12V car/motorcycle chargers? This way would require 2 chargers to charge both at same time, I think they are great chargers so I got 1 from Lidl then saw 1 reduced at Aldi in sale to £9.99 and could not pass a bargain by. HI – I use a Rascal taxi 4 (4 years old , but I’ve onl had it a few months.) and I am find ing all this conflicting advice about charging thee batteries most confusing. Thrown into this is that someone else said I should condiser a 3-phase charger, and leeave it on all the time. But thias is not practical. Hi,my mother in law has had a Sterling mobility scooter in her garage for about two years without it being used. She has asked me to try to get it going again for her, but when I plug the charger into the scooter, the charger itself has a flashing light and constant beeping sound, which only stops when you disconnect it from the scooter again. I do not have a manual, and have no idea about the condition of the batteries. Can anyone suggest what the problem may be ? I recently bought a secondhand scooter from a mobility shop. It has a display panel of a series of red lights showing it to be fully charged. I still charged the scooter after 3 uses for 12 hours and 24 hours the next time. But, on both occasions the charger light stayed yellow with a red light too. When I asked the mobility shop they said I had overcharged it! There is no manual to refer to and the makers website is not sufficient. HELP ! Hi – for mike mother-in-law who has sterling. Her batteries have gone I had the same prob. I just paid £220 for new ones.. Good luck. I have a craftmatic comfort as well and have the manual and I can photocopy and send it to you but you need to send the money to make copies. I am also having problems with scooter. The motor which turns the wheels needs replacement and I don’t know where to get the spares. Can anyone tell me what colour the light should be on the charger of a Rascal 4 when it is on charge please.Just borrowed it as my partner snapped her ankle on holiday in Greece. Hello, hope you can assist. My wife bought 2 number replacement scooter batteries in early April this year from a company advertising on the internet. My wife has a yearly contract with a local mobility company who come out & service her scooter. Prior to them coming out in late June she asked if they could change the old batteries for the new ones & they requested that we charge these up for the first time the night before there visit as per the paperwork supplied with the batteries. After the engineer fitted the new batteries he advised my wife that both were not holding there charge & gave us some figures of 15 for one battery & 6 for the other over 65. can you please advise what these figures mean so that I can contact the company who sold my wife these batteries as these are still under warranty. I have a pride colt sport scooter and need to get a new charger, does anyone know what I need to know. When you charge up the batteries , do you put in the key and turn it on , or leave the key in , not switched on ..or not put the key in at all ….this would be very helpful ..